If everyone was a good communicator, this planet would be Utopian. No more confusion, no more misunderstanding, and best of all, no more passive-aggressiveness. It would be amazing! Sadly, this goal will be as unrealized as the Cubs winning the World Series – although they did give everyone a scare this year! Note – since this was originally penned, the Cubs have finally won a world series. Congratulations, Cubs Fans! When you’re a Board communicating with Owners – whether it be via email, message board, or in person, here are some big things to keep in mind to facilitate clear condo association communications. 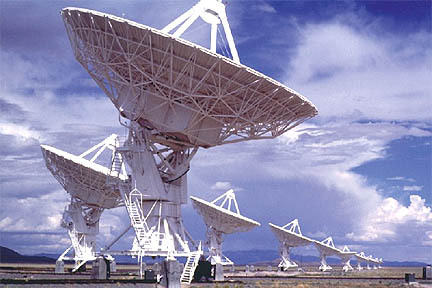 We are searching for intelligent life… and coherent condo association communications. In particular, be very sensitive with anything to do with money – new fees, increased fees, whatever. Another important time to note the “why” is if there is a change in plans. For example, on Monday, your Management company emails all Owners that something is happening on Thursday – say, fire alarm testing. On Tuesday, they send a new email changing the plan and saying the testing is now next week. The new email needs to clarify the “why” – such as “The company cancelled on us” – and needs to clearly articulate “This is a change from the message sent on Monday.” People get annoyed when things change, and a lack of clear communication around changing priorities can project that the Board and/or Management don’t know what they’re doing. If you’ve done a good job with the “why,” people will do the mental math that the inconvenience is worth the cost. If they decide the benefit is worth the cost, they’ll shrug and go about their day. If they do not believe that’s the case, they’ll be upset and may complain. And more importantly, they’ve earned the right to complain. Your job, as the bearer of (typically) bad news, is to make the case as to why your course of action was best. Your communication should be clear and effective enough to sway a majority on any given issue. Period. Email list serve – Make it clear residents (Owners and Tenants) should sign up when they move in. Physical postings in high-traffic areas – Train people that important news will be posted in areas such as elevators (elevators are the best – install a small document board in them, people are stuck and bored), elevator lobbies, mail rooms, garages, etc. Consistency is key – you need to make sure Management is posting the same information to different venues, and that verbal communication mirrors what is written. These rules need to apply to all of your condo association communications – both Management and Board, routine announcements and special ones, and both those that go to everyone and those that go to individual Owners. If your Management isn’t producing condo association communications that are crisp and clear, coach them on the format you want to see. Clear communication is one of the core pillars to an effectively run Association.